Reminds workers to wear hard hats to prevent injuries and increase safety in areas where overhead hazards are present, such as constructions sites and manufacturing facilities. 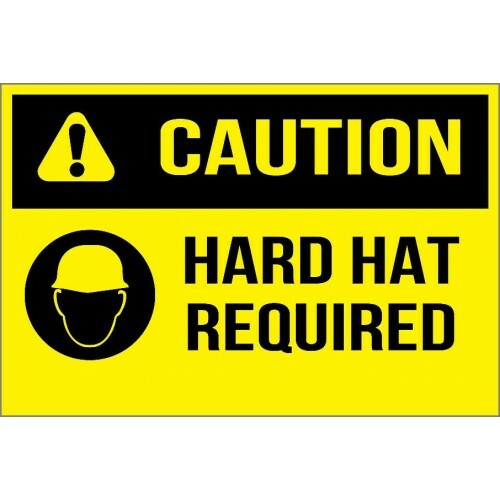 For placement in construction sites, manufacturing facilities, workstations, and any other area wh.. Remind your employees to wear proper foot protection to reduce accidents and increase safety. Idea..